Representatives from Booz Allen Hamilton and Forcepoint have said new developments in the Department of Homeland Security’s Continuous Diagnostic and Mitigation program will help federal agencies further secure their networks, FedScoop reported Sunday. The third phase of CDM named DEFEND has allowed agencies to acquire more cybersecurity and data protection services from a wider pool of offerings, as well as enable them to assess user behavior. 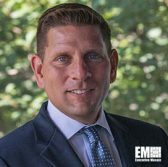 Greg Decker, principal at Booz Allen Hamilton, explained in a podcast interview that the broader range of security tools developed under CDM allows information technology service providers to help agencies further secure their operations. He added that agencies are set to see the value of CDM security offerings to support their risk-based decision making processes. Meanwhile, Eric Trexler, vice president for global governments and critical infrastructure at Forcepoint, warned agency leaders to evaluate their needs before procuring security products and services. 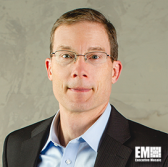 Trexler noted that agencies can coordinate with integrators to operationalize their CDM capabilities and strengthen their cybersecurity architecture.